Sizing info: Girth 24-38" Safety-Convenience-Comfort. 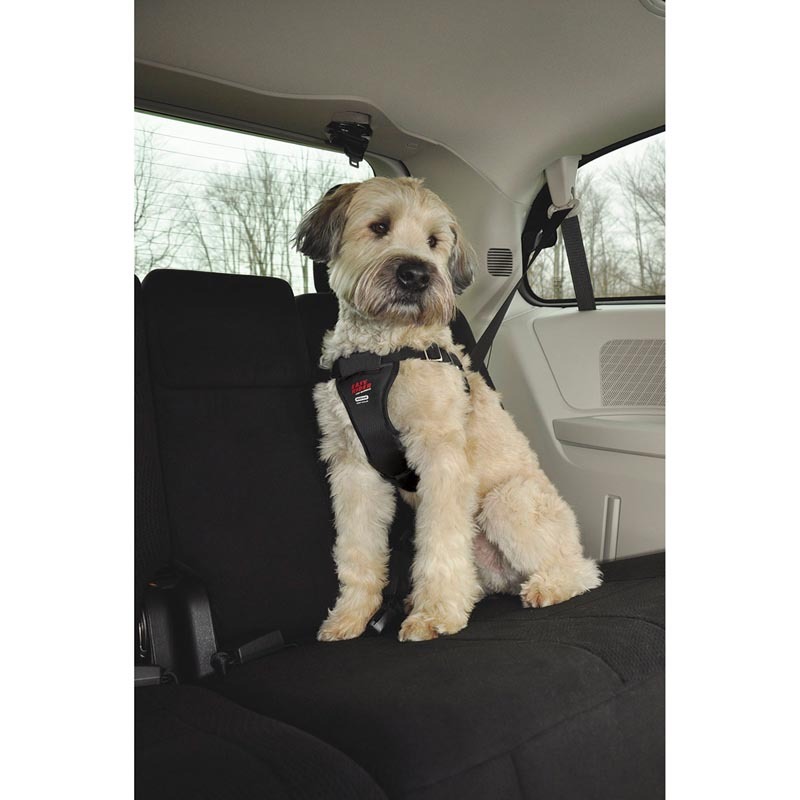 A Safe, easy-to- use harness that connects to any front or rear seatbelt. Keeps pet confined yet comfortable and prevents a pet from being thrown and injured in short stops or accidents. 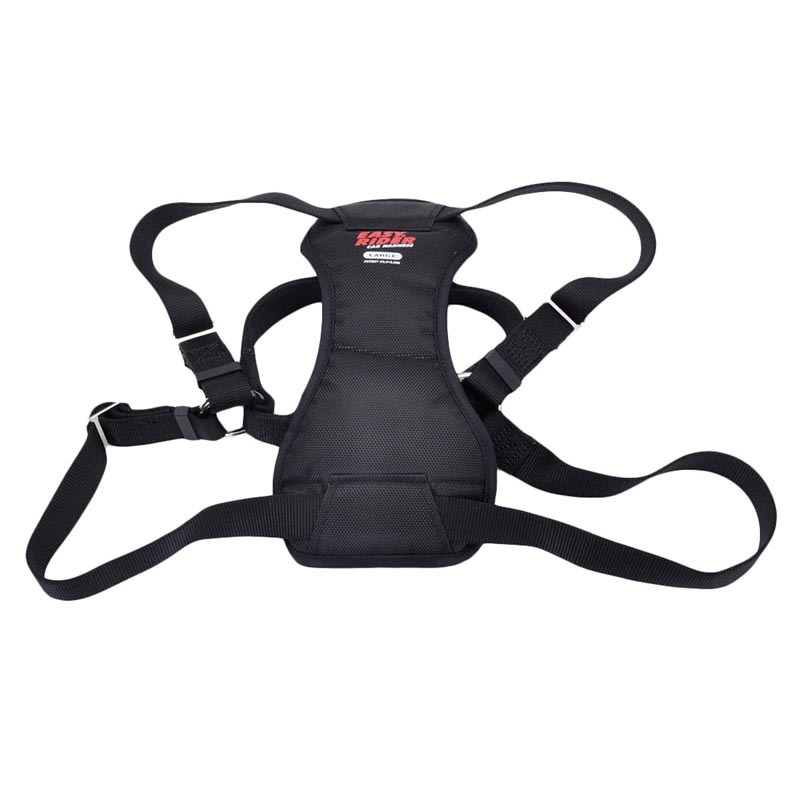 made from strong nylon webbing with a soft, padded chest strap. Fully adjustable, lightweight and non-irritating to the pet.